Of course, you want your home to be warm and cozy during the winter months, and cool and comfortable during the dog days of summer. But you also want to keep your energy bills under control. Energy-smart day-to-day living is easier than you might think. 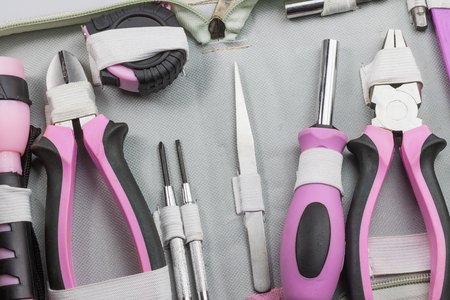 Save cold cash year round with these home energy saving tips. These home energy saving tips for your home's heating or cooling unit can save you in a big way. If your home's heating or cooling unit is more than 15 years old, you might want to replace it with one of today's energy-efficient models. If you're not ready to make such a large purchase right now, you can wrap insulation around heating ducts for energy savings. But first check your ductwork for dirt streaks, especially near the seams. A streak indicates an air leak, which needs to be sealed with metal-backed duct tape before you add the insulating jacket. 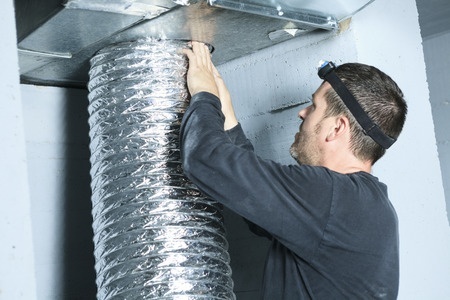 If the furnace ductwork appears to have been insulated and you think it might contain asbestos, make sure you have a professional test it before you begin. If asbestos is present, have it wrapped with duct-pipe insulation to protect you and your family. A sure way to save on winter heating bills is to open the curtains during the day and let the sun shine in, and to draw them at night to keep the heat from radiating out. 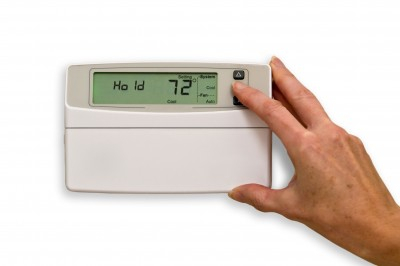 In winter, set the thermostat at 72 degrees or lower during the day for energy savings. Set the thermostat at 68 degrees F. (20 degrees C) or lower during the day, and at 55 degrees F (13 degrees C) at night or when you're away. Also consider installing a smart thermostat with a built-in timer. While you can easily adjust your thermostat yourself to comfortable temperatures, it's more efficient to have a system that does it for you automatically. To keep your home cool in summer, draw the curtains and close the windows to keep hot air and the sun's burning rays out. Set the thermostat at 78 degrees F (26 degrees C) or higher when you're home. Don't place your air-conditioning thermostat near lamps, appliances, or in direct sunlight. Heat in these areas is sensed by the thermostat and could cause the air conditioner to run longer than necessary. Since energy for lighting accounts for some 10 percent of your electric bill, you can save by lightening up on your wattage. If you're using 100-watt bulbs where 60-watt bulbs would do, consider replacing them. Or switch to fluorescent bulbs that screw into standard sockets. The newer ones give off a warmer light that's closer to the light of incandescent bulbs. Outdoors, replace incandescent lighting with high-pressure sodium or outdoor fluorescent bulbs for additional savings. Or try solar-powered pathway lamps (with batteries that store photovoltaic energy for nighttime use) or high-efficiency sodium lamps for security lighting. If you cook with electricity, turn off the burners several minutes before the end of the allotted cooking time. The burners will stay hot long enough to finish the job without using any more electricity. Use a pressure cooker and a microwave oven whenever possible; both save energy. When you're boiling water, keep a lid on the pot; water boils faster when you use a top to hold in the heat. The traditional home hot-water setting of 140 degrees F. (60 degrees C) can scald skin - a particular danger with your children in the house. Turn down the thermostat on your water heater to ensure the mercury doesn't top 120 degrees F. (49 degrees C). Your family members will bathe more safely and your energy bill will be lower.